Do You Have 30-60 lbs to Lose? 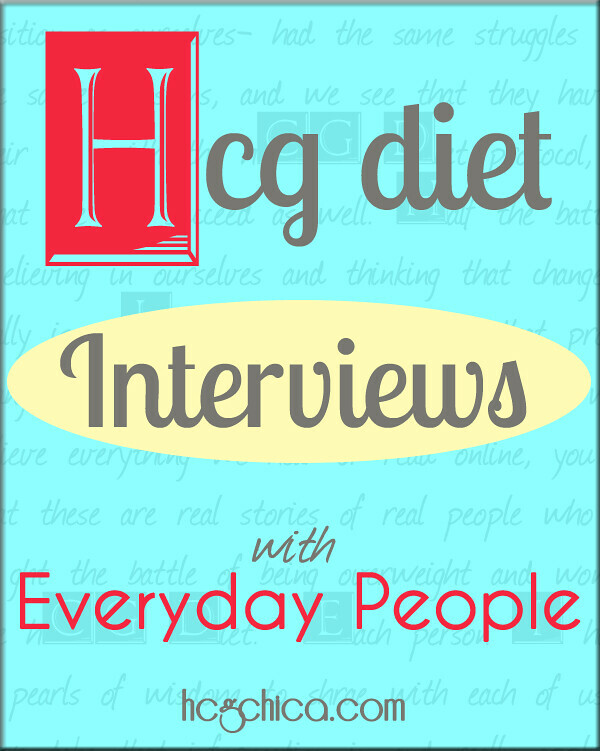 I’ve got my hCG Diet success story interviews with 16 ladies (and 1 brave dude!) who’ve lost between 30 and 60 lbs with the hCG diet – some have used hCG injections, which you can check out my current recommendations for online hCG providers here, and some have used drops. If you have 30 lbs to lose, you will likely be able to lose this weight in 2 short rounds of a few weeks each. If you have closer to 60 lbs to lose, you may need 2 long rounds (6 weeks each) or 3 short rounds (3 weeks each). Don’t get cocky on Round 2. Round 2 is notorious for failures. I’m included in that group. My 2nd round was a DISASTER – during and after. Had to redo it. So the above layout for timeline is IF you stick to your guns and do the protocol right. No eating sugar alcohol fiber cookies all day instead of veggies and meat like I did during round 2 ya? ;)- Here’s just one example of me sharing myself as a basketcase after round 2. WHICH….btw, while we’re talking about moving on from weight loss- if you don’t already know about my structured program for Phase 3 and beyond into maintenance, you should – check that out at P3tolife.com. I’m completely not bashful about shouting it from the rooftops anymore, even though it’s my program, BECAUSE IT WORKS ladies. 50.2lbs Gone & 21lb P3tolife Weight Loss! Lyndsay lost 50lbs with the original Simeons protocol of the hCG diet and 21lbs of it was through P3tolife! She used hCG injections at 150iu for almost the whole round. Aside from the weight, her total inch loss was 52.5 inches! She also shared some tips and tricks she used to get by Phase 3 with pure success. Teresa, 58, is 6 years post-menopause and had medical conditions prior to doing the hCG diet. She had back, knee, foot problems, type 2 diabetes and sleep apnea. She did both homeopathic hCG drops & hCG injections and she shared some insights on it. She started at 225.8 lbs and she is currently at 191.5lbs and she has used p3tolife program to successfully maintain her weight loss. Mary is a vegetarian who has had weight issues due to an injury and stress eating. With a height of 4’9”, her weight went up to 149lbs, finding herself really overweight so she decided to do the hCG diet where lost a total of 33lbs. Her clothing size went from size 12 to a 6. She has many vegetarian recipes, tips and tricks to share in her interview. Janatha has been overweight her whole life, weighing 204lbs at her heaviest. She has lost some weight with Weight Watchers and experienced plateau when she was at 185 lbs and that’s when she started with hCG injections. After 5 rounds, she is now weighing 135lbs and transformed from 1 size 20 to an eight! She lost a total of 50 lbs at the age of 39 while on birth control shots. Jenna had a rare condition called necrotic stomach (where her stomach basically killed itself). She lost 35 lbs with hCG injections on a 45-day round. She has tried many other diets and nothing worked but hCG! She has lots of tips and tricks to share in her interview. She became overweight after her stomach died and got sick. The only thing she could eat without horrible pain was carbs (basically plain pasta). She was eating very little protein and she couldn’t eat leafy greens. At the age of 51, Tamara lost a total of 50lbs and went down by 10 dress sizes. Despite post-menopause and serious bouts of hormonal imbalance, she had great results with hCG injections and have been successfully maintaining 19% bodyfat for a full year! She has been thin and active all her life but as she got older, she found it was harder to maintain her weight. She has always worked out and ate healthily but noticed a change in her weight drastically 5 years ago. This was due to a hormonal imbalance – which lead her to feel tired, overeat, indulge more in things and food like carbs, wine, etc. Michelle was diagnosed with Celiac disease about 6 years ago, she also has HPT, fibromyalgia and Hashimotos. Currently at the age of 54, she has done 5-6 rounds of hCG over the past 5 years and overall lost more than 50 lbs and went from a size 14 to a size 4. She has struggled with her weight her entire life from her own words. In college, she gained the “freshman 15” which was really more like 30. She gained and lost weight over and over again: 45 lbs when she was pregnant with her first child, and did not lose it all before gaining another 35 with her second. She was almost 180 lbs at her heaviest weight. Alexandra has a health condition called stress-induced narcolepsy and had been overweight since she was a kid. According to her, anytime her heart rate and stress levels get above a certain level, she falls asleep. This made her hesitant to work out because she doesn’t want to pass out in the middle of a gym sesh. She did 4 short rounds of hCG injections and was successful in losing weight. At her constant dose of 250iu with 500 calorie intake daily, she lost a total of 55lbs and maintained it with the help of p3tolife program. Pamela had a health problem which was stress-induced (PTSD) psychological dysfunction and she struggled with this for 5 years. She has tried 3 half rounds of prescription drops and homeopathic spray a few years back. Currently, at the age of 60, her most recent round where she lost 35lbs was with hCG injections which she found the most effective overall. Over this one-year period of 2010-2011, she melted away 35 lbs & 53 inches off her body. Nisa lost 44 lbs with the hCG injections. She had a radical hysterectomy in 2013 and she’s currently taking bio-identical hormones. She is also diagnosed with hypothyroidism and currently taking 2 thyroid medicines. She has struggled with eating disorders for all of her teenage years and most of her adult life. From bulimia to binge eating disorder, she just never had a healthy relationship with food. Food was either her enemy or her best friend. Oddly, she had a partial tummy tuck and then her weight started to balloon right after her surgery. Denise lost 61 lbs with hCG injections. She has used both hCG injections and drops. And from her experience, there is a huge difference between the drops and the injections which she shared in the interview. Denise began packing on the pounds in her late 20’s and 30’s. She had trouble conceiving and did multiple infertility treatments (IUI and IVF) before finally becoming pregnant with her twin boys at the age of 42. After giving birth, she never lost the pregnancy weight and her eating habits were out of control due to stress from her twins being born at 30 weeks. She looked to food and it provided the comfort she was looking for which resulted to weight gain. At 60 years old, Helen has regained her size and weight from back when she was 15! Helen talked about how over the past 10 years, she gradually gained weight, in part due to menopause but more from finding comfort in food during times of great stress because of some very difficult situations she through. Her weight loss journey went from 167 lbs to 127 lbs. KJ lost 50lbs with hCG injections and she’s been maintaining her weight loss for 4 years now. Prior to losing weight through hCG, KJ weighed 183 pounds, which she did not know until she was forced to go to the doctor because of a backache. She was asked to step on the scale and when she saw how much she weighed, KJ was horrified and there and then she decided she had to do something about it. KJ admitted to having unhealthy eating habits all the way back to when she was still a model up until the time she was already working in the hotel industry. KJ did P2 for 60 days straight where she ate between 550 to 750 calories based on her hunger. Her hCG injection dosage was 200 iu. She lost 50 pounds in 60 days. Moe lost 47 lbs and have transformed from a size 16 to a size 6! She’s menopause, has Multiple Sclerosis, a reformed cigarette smoker, and she’s about to be 52 by the time of her interview. She used sublingual drops on her 2 rounds within a span of 100 days. After quitting smoking, she gained 45 pounds over the course of 6 years. For her & her husband, it was such an intimate thing to cook and to eat. Everything went into her mouth. Her triggers were meat & cheese trays, savory comfort foods and anything salty/crunchy, good beer, good cheese, good wine, good chocolate. MEN on hCG. Chris lost 44 lbs in 56 days. Chris talked about how he gained weight slowly through the years until he reached his pre-hCG weight of 251 lbs. He attributes his continuous weight gain to his dairy intake before. To be more specific, Chris believes that it was his intolerance to milk that actually caused his weight gain. Even after he quit dairy, he retained the weight. He has a lot of tips for men and women on hCG. He is a kinetics graduate and recorded ketone and glucose as well as caloric intake and daily losses. Tracy lost 47 lbs with hCG injection. And overall she lost 44.5 inches. She has a Major Depressive Disorder and the antidepressants prescribed to her cause weight gain together with the depression that makes her crave carbs for the endorphins. She is also sharing some tips and her sanity savers while on P2. Kerrie lost 59 lbs using hCG injections. She went from size 14 to size 6. She did not lose all of this weight during P2, she actually lost 23 lbs in between her rounds, without hCG. According to her, the reason why she was not able to maintain her weight loss in her previous diets is that she really didn’t change anything about what she was eating. She has sort of a sugar problem, a sugar addiction, a carbohydrate addiction, and so even though she would try different ways to lose weight whether it be diet modification or exercise and diet modification, they were not maintained in the long run. 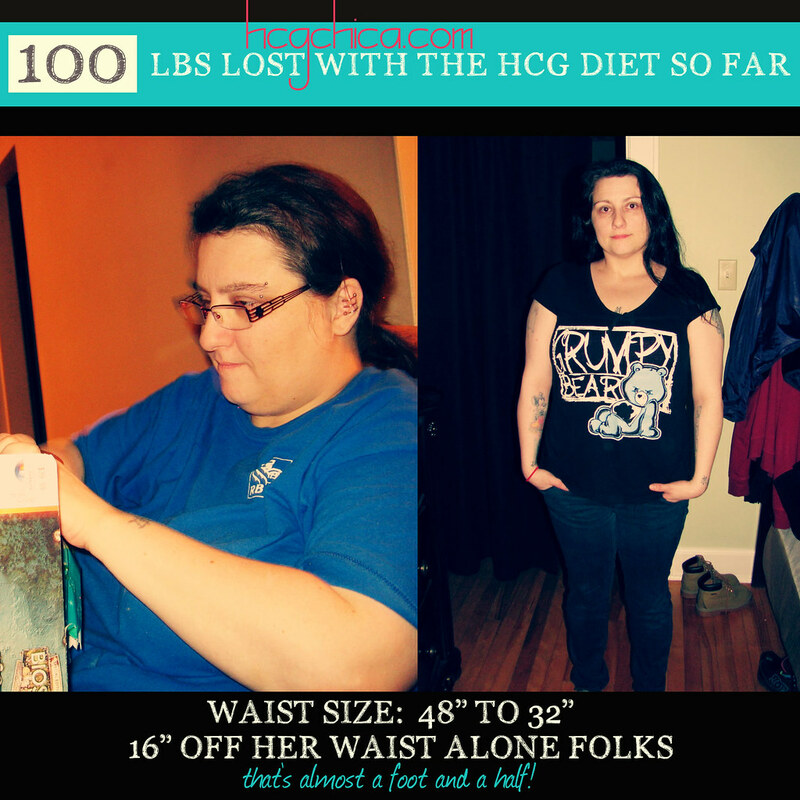 Patti lost 40 lbs with the hCG protocol. From size 13 to size 0 of the same clothing brand. She used both homeopathic hCG and the real hCG hormone. She had failed Phase 3 before and now she will share how she finally stabilized and maintain her weight loss. She had struggled with her weight her whole life and began yo-yo dieting since she was 16 years old and felt like finding this diet was what she had been looking for her whole life. She feels the root problem with her weight goes back to a love of food and simply eating too much of it. She was always good at being focused ON a diet and lost weight well, but could never pin down how to eat normally in regular life for maintaining weight – a way of eating that both were in control enough yet still enjoyable and not feeling like a diet. Miriandra lost 36 lbs with hCG. Her first 2 rounds of the protocol she did not really follow the rules for Phase 3 too well. She was misled by the misinformation out there online that leads some to believe that once Phase 2 is over, you can eat whatever you want. She went back to eating how she used to eat because she thought she could. She has failed previous rounds but when she took the protocol more seriously she has maintained really well. We talked a lot about how she went from failure rounds to successful rounds. She shared lots of tips on how to not fail based on her own experience. Bonnie lost 50lbs with hCG injection. She went from a size 12 to size 2. Bonnie went into surgical menopause about 4 years ago when she had a hysterectomy. She was already overweight up to about 175ish pounds or so (being 5’5″ tall) at the time of the hysterectomy, but following the surgery and entry into menopause, she put on another 20 lbs in the span of a few months, putting her close to 200 lbs. She was a healthy weight for her size, in the upper 120’s, earlier in life until she got pregnant and had two children 18 months apart. She found herself eating more because she was not feeling well, and eventually wound up in that 175 lb range. At the time that she has the 20 lb weight gain from menopause, she also went to see a thyroid doctor who diagnosed her with hypothyroidism. Sabrina lost over 50 lbs with both prescription hCG nasal spray and hCG injections. She had her body fat tested and she lost 93% FAT with the hCG Diet. She has been struggling with being overweight almost her entire adult life and then she developed a non-cancerous tumor, had a surgery and this is when her health, diet, and weight got worse. She then decided to lose weight after learning about the hCG diet on Youtube. She followed the 500-calorie protocol and has been successful with it.